My “tween-aged” son came home from a friend’s home one day raving about a new game that he had learned about. He said it was “awesome” and his friends played it for “hours”. This is definitely a rave review coming from a boy who lives for video games! He asked me to buy the game for the family for our family game nights that had recently fallen off of our weekly schedule (due to basketball practices, late dinners, the lure of Netflix and just sheer exhaustion!). We had our first family game when my brother and his two nieces (ages 8 and 10 years) were visiting us. I wasn’t sure if the younger one would catch on, but she definitely did and had us scrambling for funds and developments during the the game! Machi Koro is a game for 2-5 players and is relatively fast paced. It kind of reminded me of a “faster” Monopoly when everyone already has all of their properties and are trying to make their opponents bankrupt while increasing their own revenue. 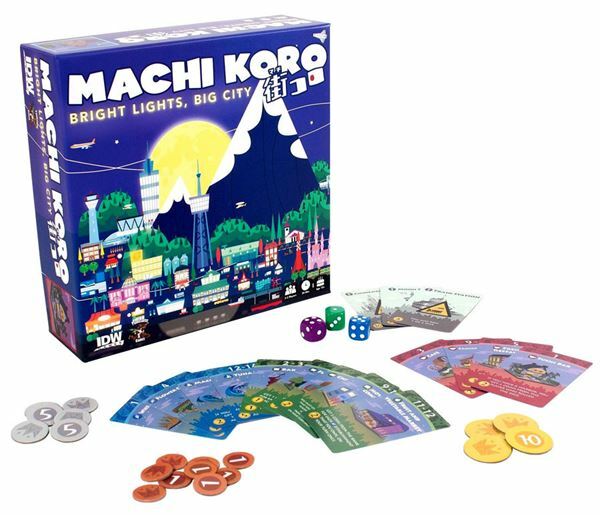 In Machi Koro, your goal is to build a city and develop all of your unconstructed landmarks (before your opponents do) using your luck by rolling dice and strategizing which developments to purchase and when. Earning money and having your opponents lose money doesn’t hurt either. I am notoriously picky about board games and prefer to play ones that keep my attention and use more strategy instead of luck. Machi Koro uses a combination of strategy and luck, and , my attention was riveted during the entire one hour game! I thought it was also impressive that my two nieces and son didn’t get bored or take needless bathroom and snack breaks! I highly recommend this board game and feel that it is worth every penny, especially in today’s day and age of technology and social media. Weekly board game nights are a great way to entertain the whole family and strike up converations and laughter! Here is the link to try this game out yourself! You are going to love it! The title was the first thing that caught my eye. 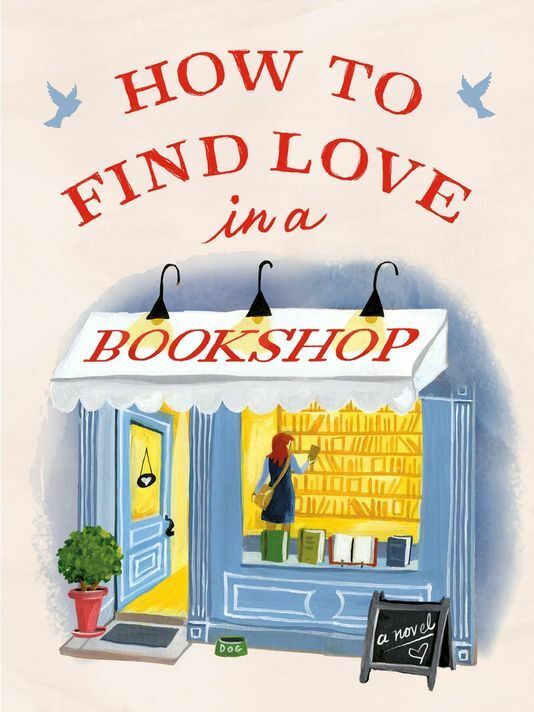 “How to Find Love in a Bookshop”…..it sounded like a “how-to” book at first for singles looking to meet their special someone. As I looked more closely at the sunny yellow picture on the cover, I realized that this would be a book up my alley. Romance, relationships and books! Bookstores, like libraries, are in danger of becoming outdated by the internet and e-books, but there is something so satisfying and even cozy about spending a rainy Saturday afternoon browsing in a bookstore with a warm coffee in your hand. Flipping pages, looking at colorful pictures and even browsing through literary themed knick knacks puts me in my happy place. Author, Veronica Henry, knows how to entice readers into the world of a little village called Peasebrook. The lives of a young bookstore owner, a shy yet talented chef, musician, a bored stay-at-home mom, a loveable cheesemonger, and even a divorcee are are intertwined through their love of books. The reader is transported to the middle of lovely village life and the lives of the characters. The main character, Emelia, is the daughter of the original owner of the bookstore, and is confronted with the daunting task of making her inheritance a success in the face of various obstacles. She is supported in her task by her best friend, a talented and well off accountant, and a bored stay-at-home mom who is looking for a challenge. There are romantic relationships with their usual ups-and-downs that are intertwined in the novel, and I found myself enjoying each subplot. Some of the conflicts seemed a bit too easily resolved by the end of the book which was disappointing. It seemed that the stay-at-home mother and her husband easily changed roles a single dinner conversation, with life neatly falling into place. In addition, the relationship between the bookstore owner, Emelia, and the musician seemed particularly one-sided. The musician also did not show the reader what it was that attracted Emelia to him in the first place other than his physical appeal. I didn’t understand how the chemistry between the two in the relationship evolved from being a one-sided crush to a mutual admiration and love. The relationship and subplot that I truly enjoyed was the one between the gardener and the society girl. It seemed truly genuine, and the feelings were well described and thought out. I empathized with both characters and felt that I was made to understand their thoughts behind each of their actions. All in all, I feel the reader who is looking for a cozy romance similar to a Hallmark movie, will enjoy this book. It is an easy read, a novel meant to be read by the fireplace on a rainy day. I feel that Veronica Henry is an author to watch out for, and I feel that her future books may be even more intricate and appealing. Here is the link to try this book yourself! I would love to hear your opinions!